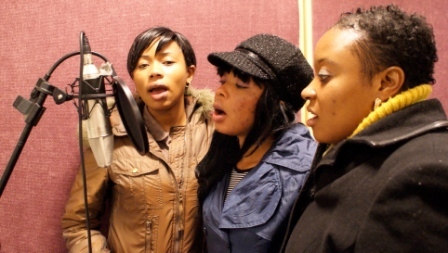 Testimony | Women inspiring joy and hope through song. Women inspiring joy and hope through song. 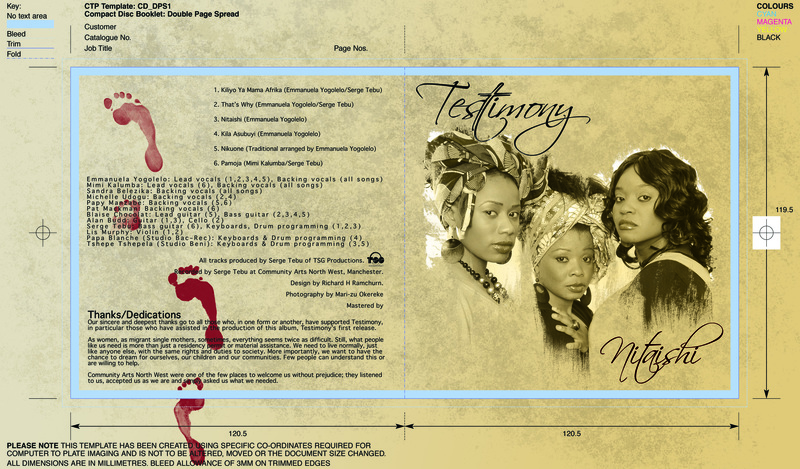 This album charts our creative journey from Central Africa to Manchester, from traditional African gospel songs to our own compositions, coloured by interaction with musicians from other cultures. We want these songs to reach out to everyone, to show the value of community spirit, and the hope of a better future for all. We sing of our struggles as migrants and of the power of community self-help and love. Emmanuela Yogolelo, a vocalist from DR Congo who has sung in church choirs since the age of 6, is also a member of the prestigious Beating Wing Orchestra. 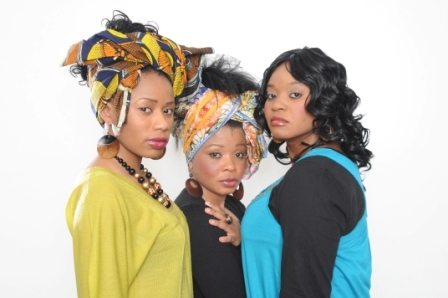 Her voice combines the passion of Swahili-rooted gospel and sweet lyricism with an irresistible, Congolese dance groove, interwoven with the compelling harmonies of her two companions, Sandra Belezika and Mimi Kalumba. 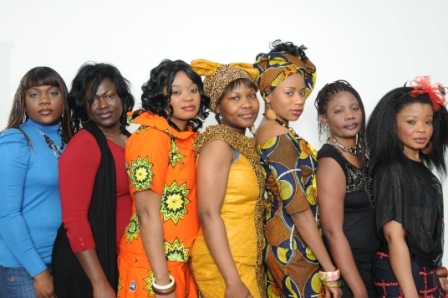 Emmanuela’s involvement as a member of the prestigious Beating Wing Orchestra has widened the group’s knowledge of different ‘world’ musical styles and facilitated their interchange with diverse musicians from the Orchestra, notably Cameroonian keyboard player, Serge Tebu’s jazz influence and Middle Eastern colour from Arash. 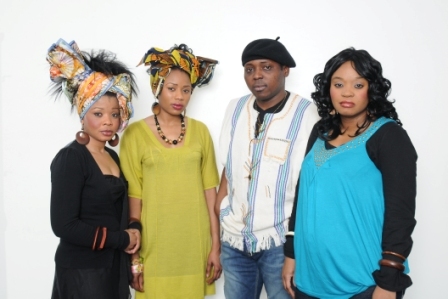 Serge Tebu is also the producer of the album and has composed three of its tracks.